Chelsea and Tottenham could be in trouble as former Real Madrid manager Zinedine Zidane reportedly closes in on a return to the club. According to the Independent, the French tactician should now be appointed manager at the Bernabeu once again this Tuesday, with club president Florentino Perez promising him a whopping £300million transfer budget to rebuild this struggling squad. 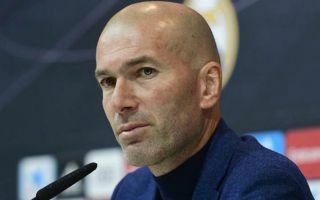 Zidane was a huge success in his first spell at Real Madrid, winning three Champions League finals in less than three full seasons in charge before stepping down last summer. However, a disastrous campaign has followed, with Julen Lopetegui not lasting long after replacing Zidane, and Santiago Solari also struggling since coming in after that. This is all rather worrying for two London giants in the Premier League, however, as the Independent report that Zidane has been given assurances over bringing in some big signings, with Chelsea’s Eden Hazard and Tottenham’s Christian Eriksen among priority targets. Christian Eriksen and Eden Hazard to Real Madrid? Both are in slightly precarious contract situations and could have good reasons for wanting a move to a big club like Madrid. Neymar and Kylian Mbappe of Paris Saint-Germain are also mentioned as top targets for the club who could potentially arrive under Zidane.